Our new versatile, reversible serving boards and paddles come with the choice of having a groove aro..
Personalise with your own message. Rectangular Wooden Board: 30 x 14cm..
Personalise with your own message. 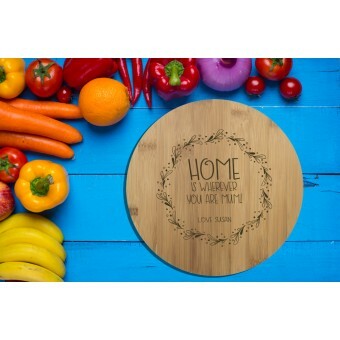 Rectangular Wooden Board with Handles: 35 x 18cm..
Rectangular Wooden Board with Hole: 25 x 14cm.. The bed size is 14 (L)x8 (W)x 10cm (H)Made from 3mm plywood. Personalise with your own names an..
Personalised Love Island Stickers not only for your water bottles, stick them anywhere, on your..
Personalise these cute fridge magnets with your most important dates!Amazing gift for weddings, Birt..